Every year, usually on the last weekend of October, people from all over Tbilisi get together to celebrate the history of the city. This festival usually lasts for 3 days and is one of the major events hosted in Georgia. Tbilisi Old Town is usually the center of the celebrations. Here you’ll find expositions of farmers from all over Georgia with fresh natural products for sale, wineries bring out the best of their wines for free tastings, People dress in national costumes, there are concerts with famous national dances of Georgia and folklore polyphonic singing. All over the city you will find open restaurants with smell of delicious food engulfing the whole old town. Each year Tbilisoba welcomes its guests with new additions and surprises in the program. Georgia loves wine and the wine loves Georgia. Since 2017 it’s official – Georgia is the first wine-making country in the world. This country is known for the 8000 consecutive vintages or to put it in other words – 8000 thousand consecutive Rtveli! 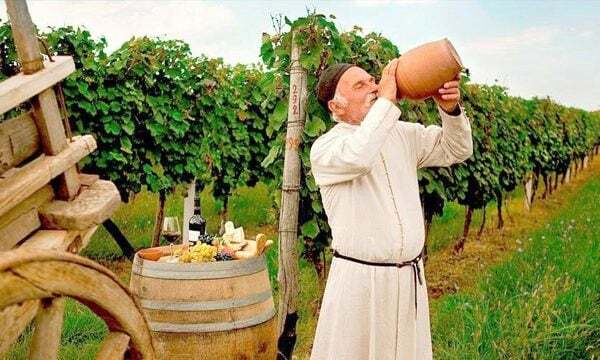 Rtveli is the wine harvest festival that usually takes place starting from the end of September to the end of October. This is when Georgians harvest the delicious grapes from Alazani Valley and squeez them to make the unique Georgina wine. At this time of the year it’s possible to take part in Wine Squeezing, Churckhela & Baking master-classes and attend traditional Georgian dinners – Supra. You can Contact Us Now for details. Lamproba – The festival of the lanterns is the heritage of distant pagan past of Georgia. In the older days most of the country celebrated this festival in various forms, however today it’s only present in the secluded mountainous region of Svaneti. There’s a couple of interpretations for the idea of the festival. The first one is that, Lamproba was a way to determine how strong the regions were military wise. Each of the families brings out 1 lantern per male, so this way people could know what the numbers of the army would be in case of emergency. According to the second interpretation, It was a fertility festival – the time period of celebration – usually mid-February – suggests the same. Lamproba was a festival to welcome spring and to ask the deities for fertility of land and families. There’s also a third theory: Lamproba was a way to pay respect o the passed relatives. However, today the festival carries mixed spiritual beliefs as Svaneti is now Christian. In the beginning of the celebration people gather and go to the church to perform the traditional rituals. After the church the real celebration begins with special games and singing. Firewood, timber, dry leaves and more often – worn out car tires. In most cities and villages people put these together to make huge fire pits. People young and old are chanting, yelling and laughing with joy. The brave ones show off their courage by jumping over the fire. This is Chiakokonoba. This festival also dates back to the pagan days. Most people believe that the ares where the fires are lit, get cleansed and all evil spirits flee. This traditions go back to fire-worshiping days, when the religion called Mazdianism or Zoroastrianism, as spread to Georgia from Persia. In this religion fire is a deity and for sinful humans stepping through the fire was a way of getting cleansed. The date of the celebration varies from region to region and is usually dependent on the moon cycle. Art Geni (Art Gene) is a Georgian music festival emphasizing the traditional Georgian arts which include: Music, Fine Arts, Poetry, Fashion, Marital Arts, Theatrical Arts, Painting and much more each year. Festival usually takes place in the late spring period and is hosted in the Tbilisi Ethnographic Museum. Tbilisi open air also known as the Altervision is an alternative music festival in Georgia. It’s held every summer usually in late June or early July. Musicians and listeners from all over the globe and various genres of music get together to throw a massive party. Festival lasts for multiple days. There’s a camp sight and a variety of fast food restaurants on the territory. GEM Fest is the biggest music festival hosted in Georgia and it’s strictly for Electronic music. In year 2017 the festival went to reach a record of the lengthiest music festival with 3 months of non-stop electronic music. GEM Fest takes place on the black sea coast in Anaklia, every year they put together a small city for the genre lovers.